5150 Mont Tremblant #5150MT — James Thorp. Triathlete. 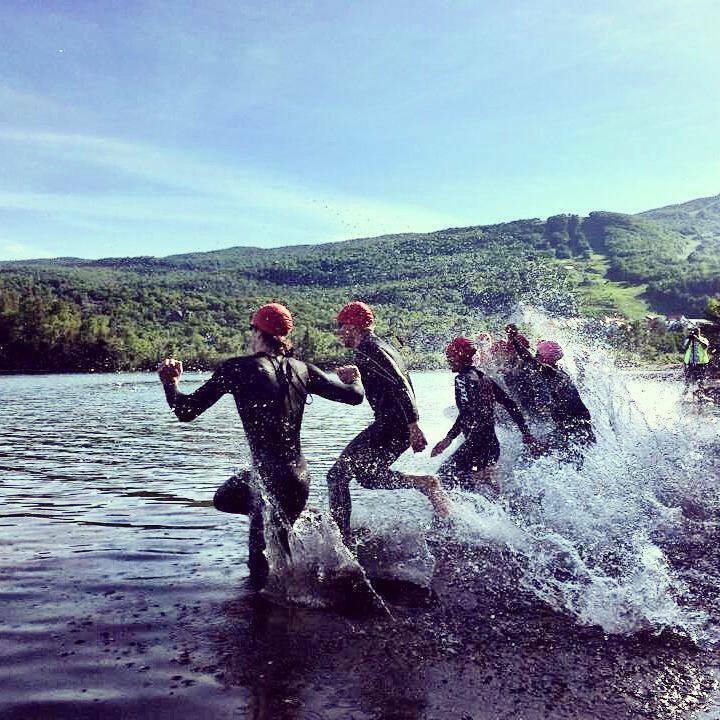 I found myself in the lead pack for the first few hundred meters but as is too often the case for me I ended up exiting the water and having to chase after losing time to the leaders. 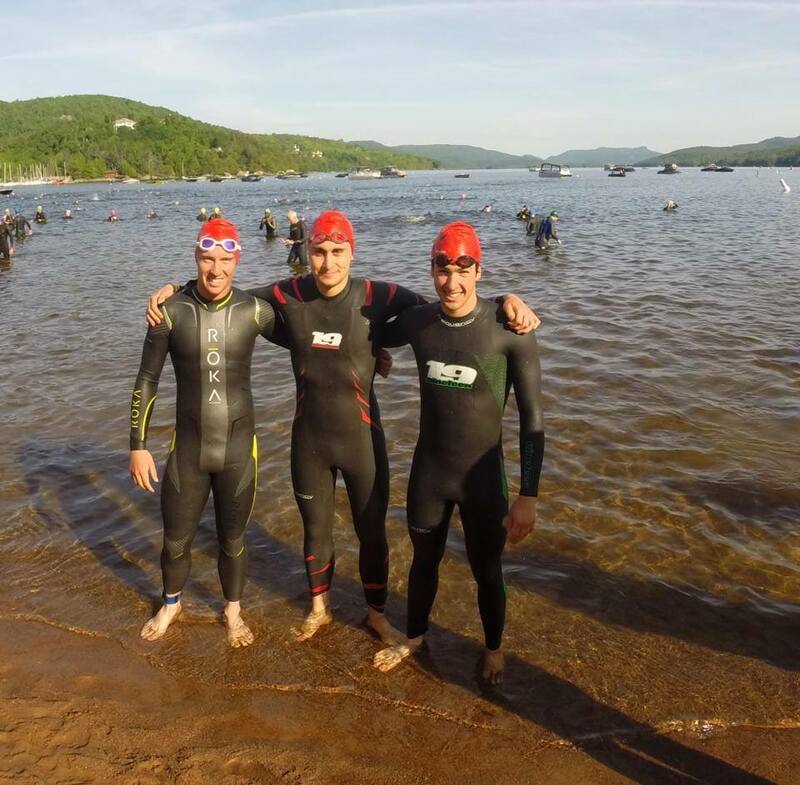 I exited the water in 19:10 in a pack with Cody and Charles Brault. The long run up to T1 gave me a good indicator on how my legs were feeling and gave me a chance to make up a few seconds before what I knew would be a tough ride. This was the story of the bike course for me. Cody and I riding together on a very hilly bike course chasing hard to try and gain some time into the three guys that were still up the road. A snapped cable at the beginning of the second lap left me without the ability to shift into the big ring and hence saw my cadence skyrocket to 135+ on some of the downhill sections trying to keep contact with Cody before dismounting and heading out onto the run course. Exiting T2 Cody and I had a minute to make up the pack up the road. We ran together for 6km before I was able to put a slight gap and make a pass of one of the runners up the road to move into 3rd. From there I ran scared for a while before settling in and trying to close the gap to second. In the end, I ran out of time and crossed the line with the second fastest run split of the day in third place. To finish on the podium of my second pro race in a strong field is a sign that things are headed in the right direction. It is nice to have a good result to show my hard work is paying off, but I also understand there is a lot of work to be done. Next up for me is Tri-Rock Philadelphia in two weeks. I'm excited to get back to work and test myself against some of the best non drafting athletes in the world. Some huge thanks must go out to Every Man Jack. Our team is doing some big things and it's great to be able to share the success with everyone. 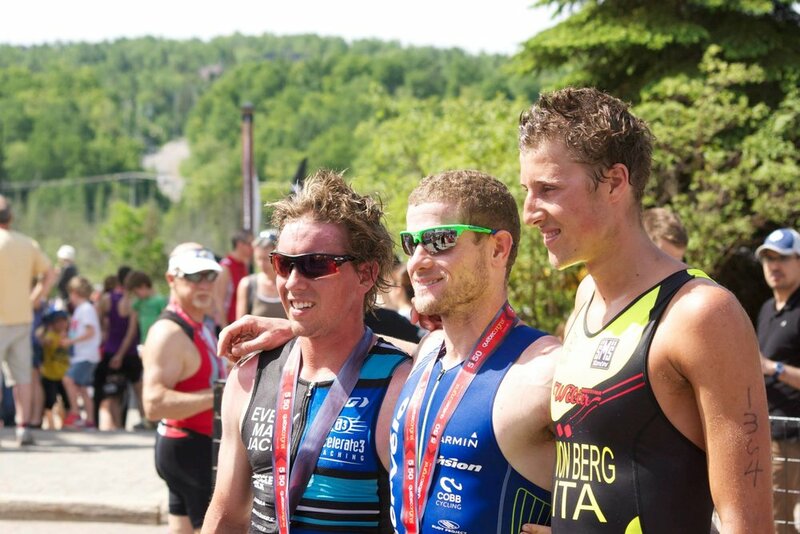 Also to Ironman Mont Tremblant, 5150MT is right at the top of the list of races to come back to. They did an awesome job promoting their athletes and organizing a beautiful and challenging course. Credit for the awesome photos goes to them. The complete album can be seen here. Video credit goes to Adam Hayes who managed to get some serious training of his own while running around supporting us throughout the day.